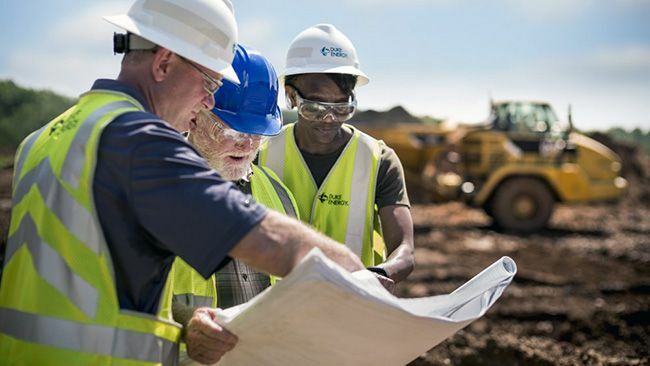 RALEIGH, N.C. - Duke Energy, in conjunction with ash management contractor Charah Inc., will hold community information events in Lee and Chatham counties next week. The events will provide citizens with updates on Duke Energy's coal ash management plans and details on beneficial reuse projects proposed in those counties. Experts from both companies will be on hand to share information and answer questions in an informal open-house setting. Wednesday, Dec. 10, 2014 : 4:30 p.m. to 7:30 p.m.
Thursday, Dec. 11, 2014 : 4:30 p.m. to 7:30 p.m.
3932 New Hill Holleman Rd. As part of the first phase of a comprehensive plan to comply with state law and close ash basins at its coal plants in North Carolina, Duke Energy is contracting with Charah to transport a portion of coal ash excavated from two of its retired power plants to beneficial reuse projects in Lee and Chatham counties. The plan calls for ash from the L.V. Sutton Plant in Wilmington and the Riverbend Steam Station in Mount Holly to be transported, mostly by rail, to the Sanford Mine in Lee County and the Brickhaven Mine in Chatham County. Once at the mines, both owned by Charah, ash will be used in a fully lined structural fill at the sites. Charah has expertise managing ash and is working in partnership with Duke Energy on the Lee County and Chatham County beneficial reuse projects. Charah is also managing a similar beneficial reuse project for Duke Energy at the Asheville Regional Airport. Information on Duke Energy's plans to comply with North Carolina's new coal ash law can be found at duke-energy.com/ash-management.